With the eventual start of Travelodge (check our last post!) will bring a much needed expansion and update of our current facilities. This will see a near doubling of factory floor space, including two new overhead gantry cranes, modern LED lighting and noise and energy efficient paneling. Using our in-house design capabilities and partnering with Latonedil® will see our extension completed in a matter of months. Unlike other years, this March we’ve been incredibly lucky with the weather. Foundations have been prepared for by Ray Shergold Groundwork, with concrete flooring already laid and polished by National Concrete . We’ll be utilizing a steel frame structure installed by RM Fabrications to speed up overall completion time instead of using traditional brick and mortar. 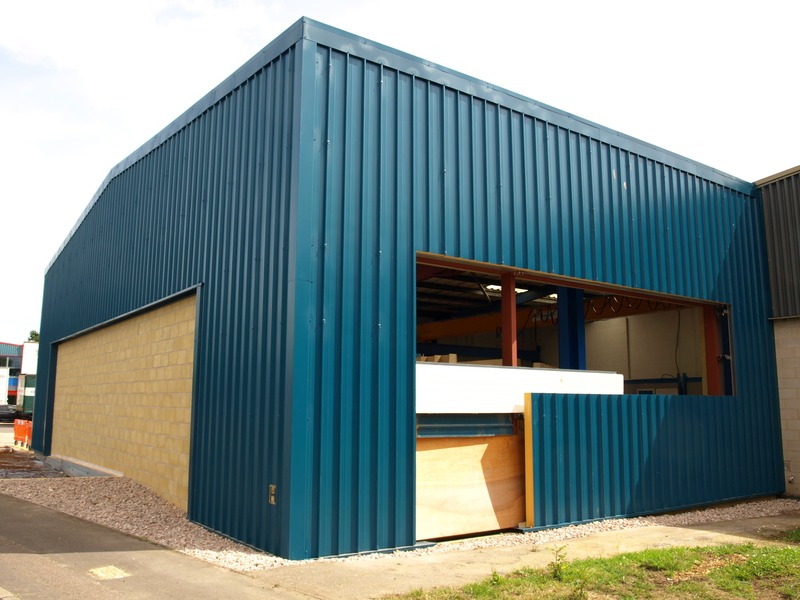 Whilst using Latonedil® panels for in-keeping with the surrounding buildings, we’ll be utilising our cladding expertise to complete the facades. Using similar principles adopted from our light weight stone cladding, an aluminium sub-frame will support the facade pieces. This will further reduce installation times and act as a baseline trial for Travelodge. Whilst originally a 1970s built factory unit, typically these older, outdated buildings exhibit poor thermal insulation with minimal noise cancellation properties. Latonedil® panels will help mitigate this. Using a light weight glass fibre panel improves both our energy and noise efficiency due to their highly insulating properties. Coupled with LED lighting, this will help bring Cristofoli to a greener, low energy future.